Provide comfort for the family of Gary Knoke with a meaningful gesture of sympathy. 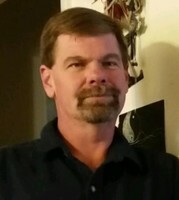 Gary Louis Knoke passed away on February 5, 2019 in Cedar City, Utah. Gary was born on November 12, 1969 to Gloria Susan Young and Louis O Knoke. He was raised in Panorama City, California. He married Gaylene Sue Pellegrino on August 18, 2001. Gary loved to read and enjoyed the outdoors. He received his Associates Degree from Dixie State University. Gary is survived by his wife, mother and step father Barney, sisters Tracie and Brenda and brothers James and Rick. There is a celebration of life scheduled on Saturday, March 9, 2019 from 1:00-3:00 p.m. at the Heritage Theater Festival Hall (105 N 100 E) in Cedar City, Utah. To send flowers in memory of Gary L Knoke, please visit our Heartfelt Sympathies Store.